In 1997 Michael Jordan had already amassed a career of incredible highlights and amazing records. He had won 4 NBA titles, awarded as the NBA’s MVP 4 times and named the NBA Finals MVP 4 times. His legacy was already set to be considered one of the greatest basketball players of all times. Up to that point he had many memorable moments. The most notable was the game against the Cavaliers in the NBA Playoffs were he made “The Shot” in 1989. 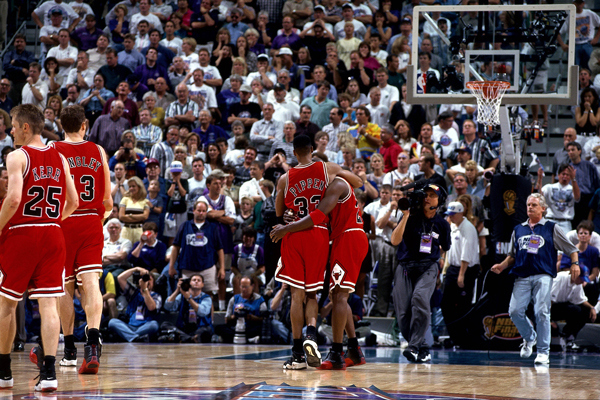 One of the last memorable moments and possibly the biggest of his career came in the 1997 NBA Finals. On June 11, 1997 the Chicago Bulls took on the Utah Jazz in Salt Lake City, Utah. It was Game 5 of the NBA Finals and the series was tied at 2-2. The day before the game Michael Jordan became severely ill. Jordan had a fever and was not able to keep any food down. He was found in the fetal position by his trainer and was very fatigued. Many who were close to the situation believed there was no way he would play the next day. When the game started Michael Jordan was visibly weak and pale in color. The Bulls fell to an early 16-point deficit in the second quarter and with Jordan not feeling well were in a hole. At halftime the score was 53-49 in favor of the Jazz. The third quarter found Jordan on the bench trying to rest and looking in even worse shape than he had at the beginning of the game. When the fourth quarter began Jordan was back in the game and scored 15 of the Bulls 23 points in the final quarter of the game. The most dramatic plays of the game came in the final minute. Jordan was able to make a 3-pointer to give the Bulls a 88-85 lead with just 25 seconds remaining in the game. The next play was a dunk by Greg Ostertag of the Jazz which took the Bulls lead to only one point. The Bulls were able to raise the score again with a dunk by Luc Longley. With just a few seconds remaining and the Jazz down by 3 points John Stockton was fouled and was now at the free throw line. He needed to make both free throws for the Jazz to be able to stay in the game. When he missed the first free throw the game was sealed. The Bulls had over come this daunting game and won by a score of 90-88. Michael Jordan then collapsed into Scottie Pippen’s arms, this image would forever be considered the trademark picture for this game. Jordan finished the game with 39 points, 11 rebounds and 4 assists. The Bulls would go on to win Game 6 and their 5th NBA Title. It has been reported in later years that he did not have the flu but instead had food poisoning. 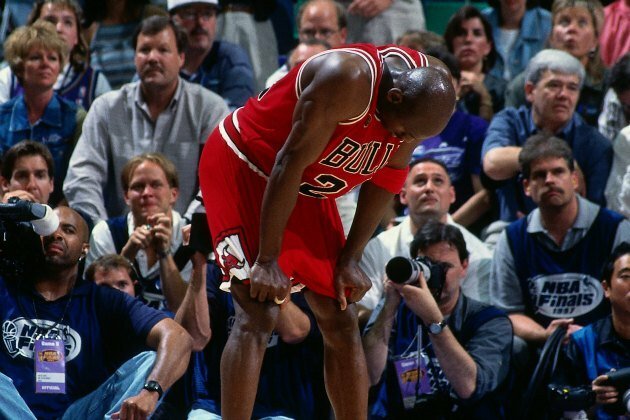 Regardless of that fact this game was an incredible show of strength and determination for Michael Jordan. Jordan will be remembered long after his days on this earth and this game will be considered one of his best for all future generations who will read about him. On Saturday night March 30, 2013 Kobe Bryant moved up on the all time scoring list. 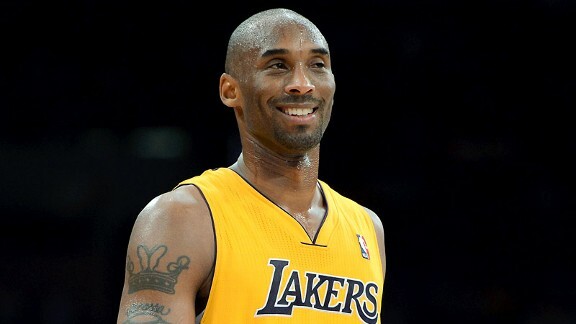 Kobe Bryant surpassed NBA Hall Of Famer Wilt Chamberlain to become 4th on the list of the basketball greatest scorers. Bryant scored 19 points in the Lakers victory over the Kings in Sacramento, CA. Bryant now stands at 31,434 points for his career. He now is behind Kareem Abdul-Jabbar, Karl Malone and Michael Jordan. Jordan is holding the 3rd spot on the list with 32,292. 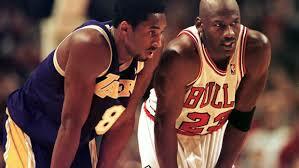 There are only 858 points separating Jordan and Kobe now. Bryant has already scored 1931 points this season. He has scored 2,000 points per season through his career. It is highly likely he will pass Jordan next season and take the 3rd position on the all time scoring list. When he passes Jordan he will elevate his legacy to the highest degree. Jordan is the Babe Ruth of basketball and this feat will cause many to rethink who was greater. 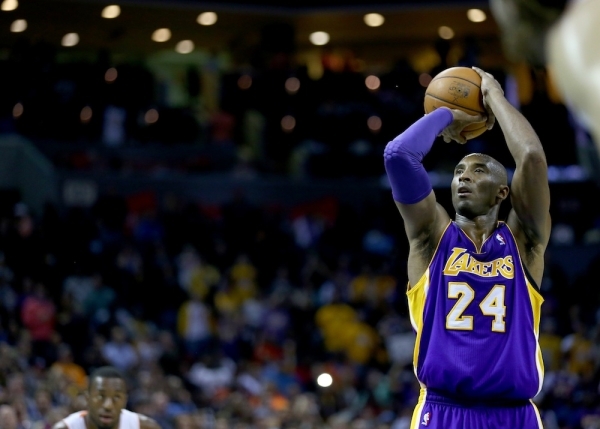 Kobe Bryant has been a very talented, entertaining and accomplished player during his career. He has had some off court issues and even some locker room drama. However when his career is over, his off court issues will pail in comparison to what he accomplished in the game. Kobe Bryant is a legendary player and we are lucky to be able to see the greatness he produces every night. This will be an exciting year coming up.